Aamir Khan is on high again with Taare Zameen Par Hitting right note at the box office. “I have stardom that I want” – is how mag cover define so called perfectionist star of bollywood. Besides talking straight in his own style, the look of cover shot isn’t less stylish. Showing the grit, Aamir Khan has all painted face ‘Alien Zameen Parr’ – Bad Joke! 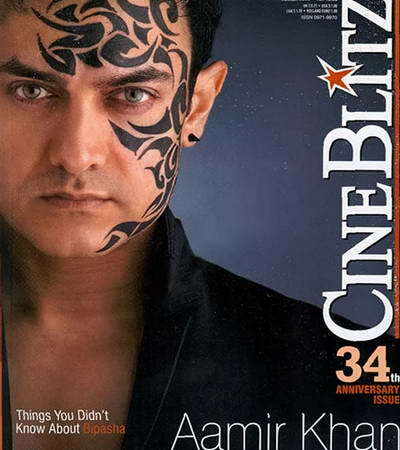 Here is Aamir Khan upclose on CineBliz Mag cover, for more straight taking grab the mag, simple! More here… | Aaamir Khan, who Else!